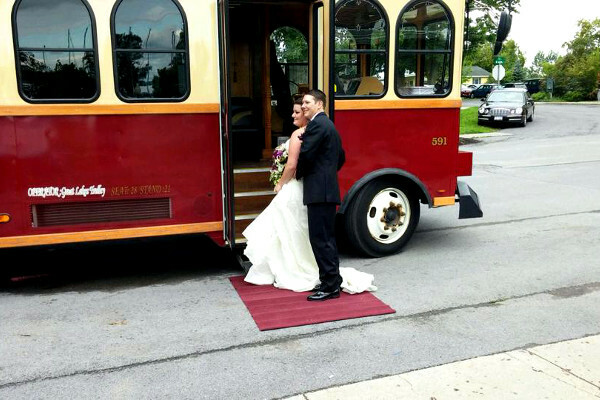 Great Lakes Trolley provides upscale transportation services to Central and Northern New York. We are perfect for private or corporate functions, sporting events, concerts, weddings, proms, shuttle and tour bus service and much more. 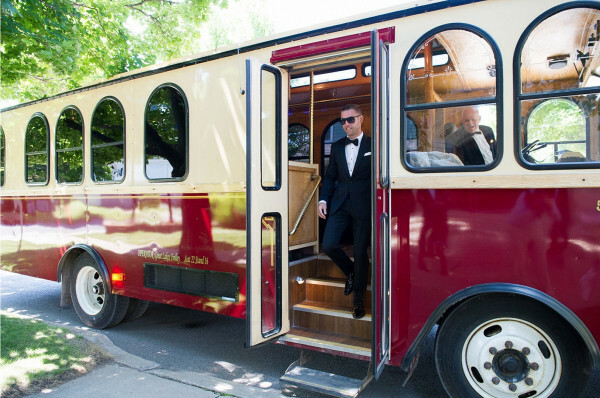 If comfort and class is more your taste, try one of our modern Trolley Limo's. With plush couch seating, club style lighting, and a high end sound system, these Trolley's bring you modern style in a classic package. Some Trolley's even have a DVD player and onboard Karaoke. 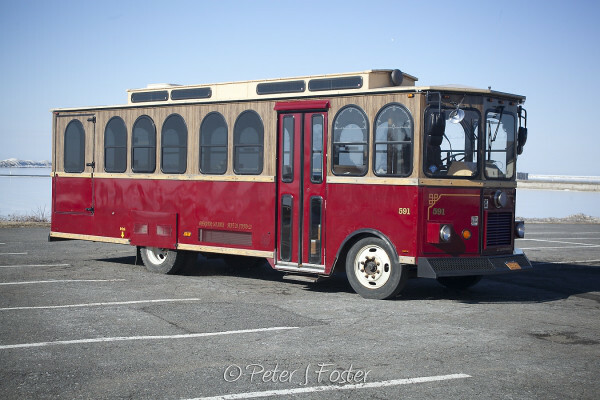 If you prefer a more traditional trolley you can find that with Great Lakes Trolley too. 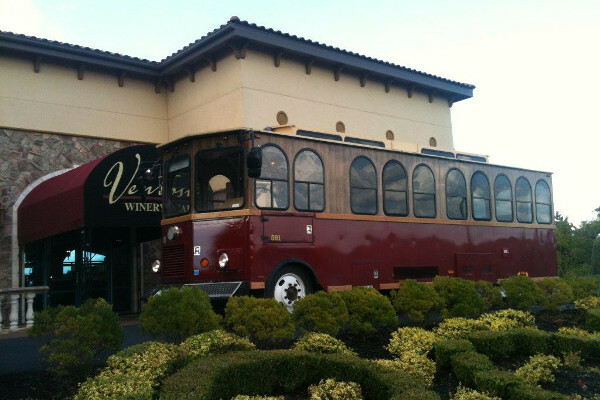 Visit our "Gallery" page to find which trolley will be right for you. When it comes to entertainment transport, look no further. Our trolleys are set up like a modern lounge or dance club. With over 100 custom lighting options, two cordless microphones with hundreds of karaoke songs from your favorite artists, and even a dance pole, take the party on the road with you. Drinks of all types are welcome onboard and some trolleys even have a mixing bar! 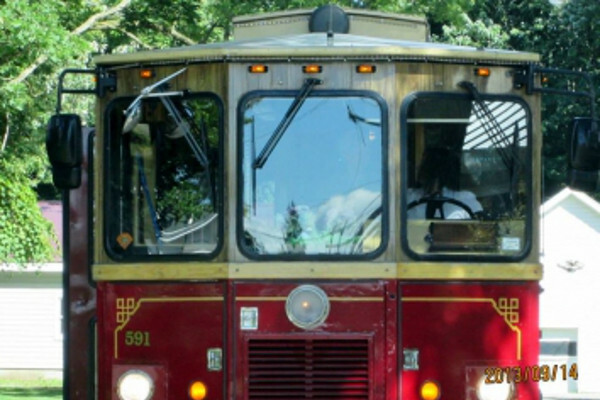 Regardless of your destination, getting there is half the fun when traveling with Great Lakes Trolley. Great Lakes Trolley operates a fleet of shuttle and tour buses. These buses can accommodate groups of 20-28 passengers. As a lower cost option for your entertainment transportation, these are also perfect for for sports teams, airport, daily shuttle service, casino trips, and much more. Like all of our vehicles, each of these meet strict NYS safety standards and are operated by professional and courteous chauffeurs. By submitting this form, you consent to being contacted by Great Lakes Trolley via email so that the queries and needs you express in the form can be suitably addressed.